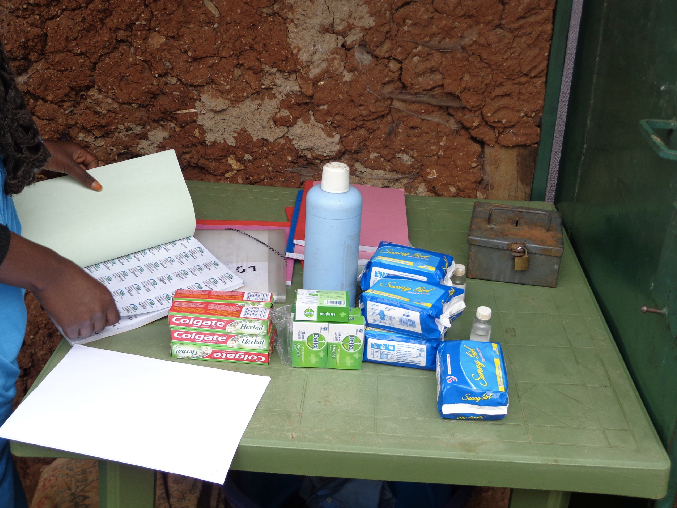 Life Force Kiosks is excited to announce that we’ve launched four new products in Kibera. Launching these new products has two main benefits. 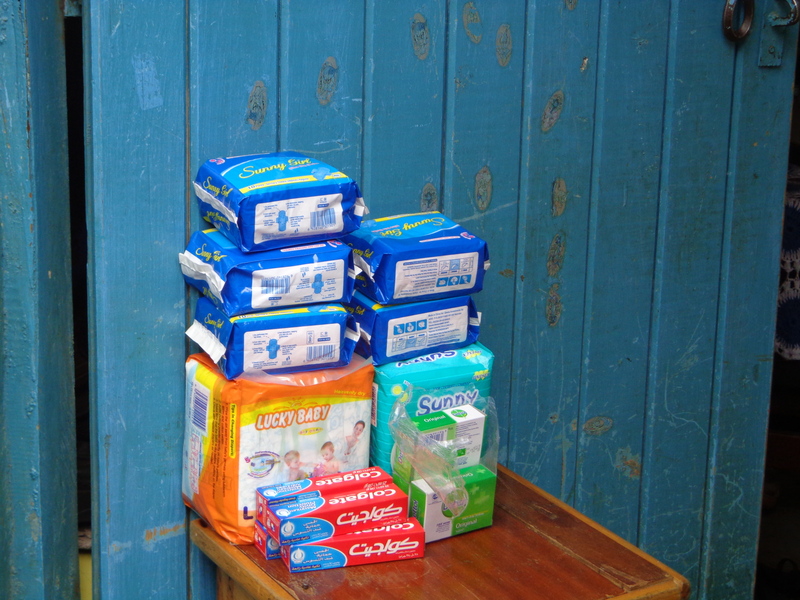 First, we’re making it easier for families in Kibera to access these products. They can certainly go out to markets and buy them, but now they’re closer and easier to purchase. Much like our model with water purification, we’ve also taken some products that families would normally have to buy in bulk like diapers and are selling them individually. While it might sound strange to Americans to buy just a few diapers at a time, this is a nice service for people who sometimes can only afford that day’s expenses. This is our most popular new item so far (133 sold in the first week), largely because people can buy just as many as they need for that day and can come back tomorrow when they’ve earned more money. The second benefit is to help Life Force Kiosks become more financially sustainable. Selling water purification services in this community may never be a profitable endeavor. There’s just not enough volume or a high enough margin. Just like you wouldn’t walk into a grocery store and see them selling just one product, expanding our inventory should help us more financially stable. Of course we still make just a couple of cents per sale, so this definitely won’t offset the need for outside funding in the immediate future. On the water purification side, we continue to march towards a key milestone of 1 million liters purified. Hopefully I’ll be able to share that exciting news with you in the next few months. 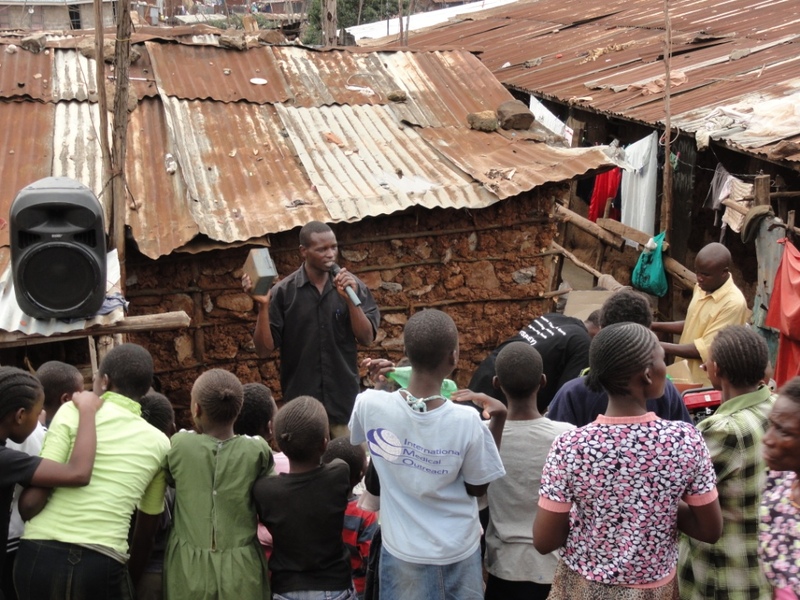 It’s amazing that two years ago today, Life Force Kiosks launched in Kibera. I’m so proud of my team for their continued dedication toward improving the lives in their community. We’re closing in on an exciting milestone – 1 million liters of water purified . I can’t wait to announce that, and it shouldn’t be too much longer. This past year has been very interesting. For several months, our focus was split as we engaged in a partnership with an organization called Impact Carbon. Impact Carbon’s work improves health, reduces poverty, and improves local environments while slowing climate change. They build and support projects that help people access new technologies such as clean cookstoves and water treatment systems. They leverage carbon finance and social finance to bring these projects to scale. Life Force Kiosks and Impact Carbon joined forces to help get chlorine-based community water treatment qualified for carbon offset financing. For those of you not familiar with carbon offset financing, I’ll give a brief description. Basically companies and individuals make financial contributions to help “reduce their carbon footprint”. If you’ve bought a ticket on Expedia recently, they probably asked if you wanted to donate a few bucks towards this. Of course your $7 can’t reduce the fuel used for your flight, so instead that money is pooled to fund projects that reduce the use of natural resources like trees and coal around the world. In many developing nations, wood and coal is used to boil water to purify water. Life Force Kiosks purifies water with chlorine, reducing the need to boil water. During the past year we acted as a proof-of-concept to show that our model (and related non-boiling technologies like ceramic water filters), could effectively reduce the burning of wood and charcoal. I’m pleased to say that after a lot hard work from Steve and the Impact Carbon team, we were successful in demonstrating this and non-boiling water treatment received approval for carbon funding. With that success came some tradeoffs. As Steve spent a significant amount of time working with Impact Carbon, Life Force Kiosks was not able to have quite the same impact in Kibera this past year compared to our first. However, we did purify over 330,000 liters of water this past year, bringing our total to over 875,000 liters of water since we went live. We’re continuing to transfer more ownership of LFK’s operations to the Kenyan management team. I remain committed to the cause and to LFK, but I also believe that our long-term success is dependent on the ownership of our Kenyan team. They’re the ones living in Kibera, seeing first-hand the problems that exist there, and are in the best position to execute solutions to those problems. I look forward to hopefully announcing that we’ve purified over a million liters of water in the next few months. Again, I’d like to thank everyone who’s supported Life Force Kiosk and enabled us to achieve these fantastic results. And of course Life Force Kiosks would be nothing without Steve, Freddy, and our vendors, so thank you so much for the work you do every day. Happy anniversary, Life Force Kiosks. A few months ago I was contacted by the Stanford Graduate School of Business regarding my work in Kenya. They initially wanted to interview me to learn more about my work with PATH. However, after hearing about Life Force Kiosks, they asked if they could publish two case studies to be used in their curriculum. PATH also included a short case study on Life Force Kiosks in their Commercialization Toolkit. This was a resource developed for non-profits and small commercial entities operating around the world to leverage best practices from Academia and existing, successful organizations. In full disclosure, I did write several sections of the Commercialization Toolkit. However, I don’t think that’s the reason they opted to include the Life Force Kiosks case study. I’m very honored and proud that esteemed organizations such as Stanford and PATH have recognized the success of Life Force Kiosks and have chosen to share some of our best practices with their students and partners. This is truly a credit for everyone in the Life Force Kiosks organization and our supporters. It’s with great pride that I announce Life Force Kiosks recently celebrated its 1 year anniversary! During our first year, we’ve purified over 580,000 liters of water and cleaned nearly 4,500 storage containers. We’ve also been publicly recognized by Stanford University and PATH (links to these case studies to follow shortly). I’m extremely grateful for our tremendous Kenyan management team, our kiosk vendors, my advisers, and all the donors who made this possible. Now that we’ve proven the efficacy and consumer acceptance of the model, the coming year will focus on expansion. We’re currently trying to raise funding that would allow us to grow from 10 vendors to 50. If successful, we’d aim to purify about 8,000 liters of water per day, or almost 3 Million liters per year. I look forward to sharing more stories from the field and hopefully some new pictures over the coming weeks and months. I encourage you to subscribe to this blog if you haven’t already to get e-mail updates. As always, you can make a donation to support this amazing organization at http://www.LifeForceKiosks.org. 100% of donations go directly to operating costs, and all donations are tax deductible. Thank you so much for your support, and congratulations to everyone involved with Life Force Kiosks on its first birthday. Life Force Kiosks just completed its fifth month of live operations and we continue to see fantastic results. I was pleased with our first month’s performance of purifying 20,000 liters of water. However, that number pales in comparison to this month’s outstanding result of 55,000 liters of drinking water purified. Since launching in late May, we’ve cleaned over 200,000 liters of drinking water! We’ve also performed 2,230 water storage container cleanings. While Steve, Freddy, and I are very pleased with the impact we’re making in Kibera, we’re hungry for more. We’re currently looking for funding opportunities that will allow us to expand the number of vendors offering our services. It will not be operationally difficult for us to double or even triple the number of vendors in our network. I’m confident that doubling the number of vendors will more than double the amount of water we can purify, as our expansion will give our organization even more credibility and convince some skeptics to give us a try. Plus, the more people in a given social circle adopt a product, the more social pressure holdouts start to feel to join in. 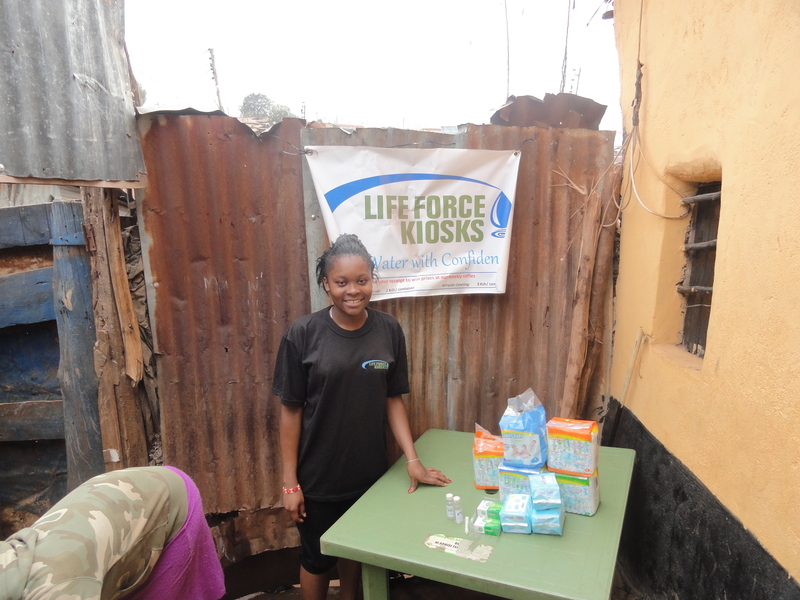 If you would like to make a tax-deductible donation and help give the people of Kibera access to clean drinking water, please visit www.LifeForceKiosks.org. As always, we appreciate your support. It really does make a difference. Every Sunday, Life Force Kiosks is in the community conducting our raffles. For anyone new to this blog, I’ll provide a quick overview. Whenever a customer buys either a water treatment top-up or a jerry can washing from Life Force Kiosks, their sales receipt doubles as a raffle ticket. This has two substantial benefits. 1. Raffles are a great demand generation tool, especially here in Kenya. People just love them here. So while reducing the risk of waterborne disease might not compelling enough on its own, throwing in the chance to win some fun prizes helps push people over the edge. Sales shot up dramatically once we implemented our raffles. This promotion both rewards customers to increase loyalty and creates product awareness and demand among non-users. 2. The raffles provide motivation for customers to demand a receipt. This allows us to accurately track sales and collect the appropriate amount from our vendors. If you’d like to see Steve in action, below is a video clip capturing a couple of minutes from one of our raffles. Additional pictures are also available at https://lifeforcekiosks.org/Photo_Album.php or by clicking on the Flickr section on the right side of the page at www.CleanWaterForAll.net.